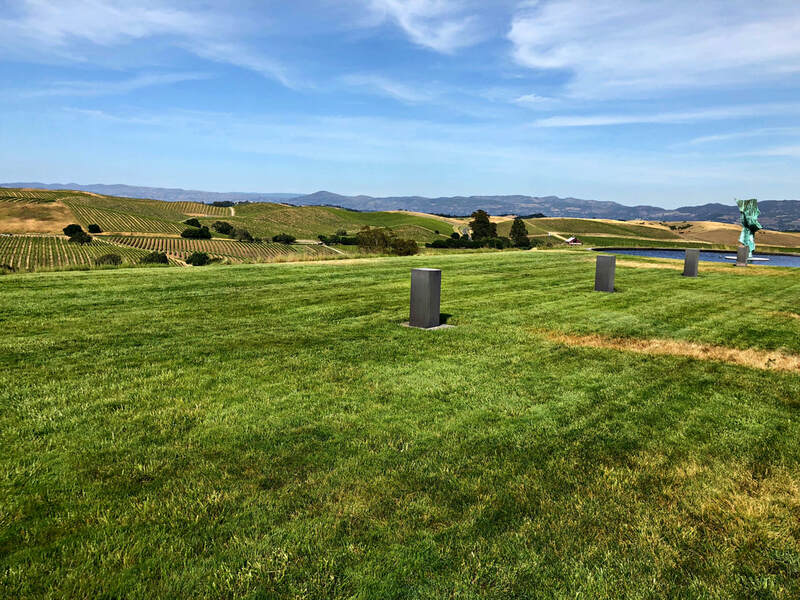 Napa, the storied valley of world-class wines and expensive vines, should be on every wine lover’s radar. 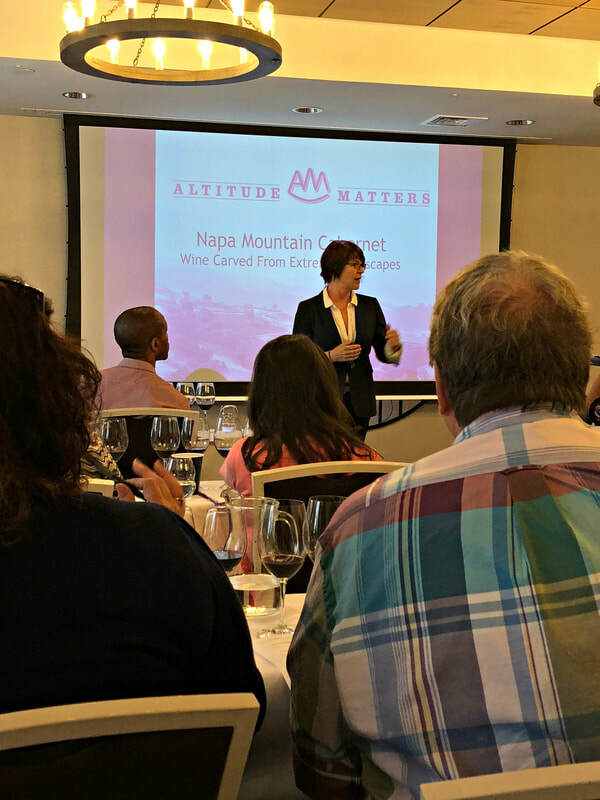 As California’s first wine region decorated with an AVA, a nod to high quality and distinctive character, Napa still sets the bar high, within the state and around the world, for an intensity that is not duplicated anywhere else. 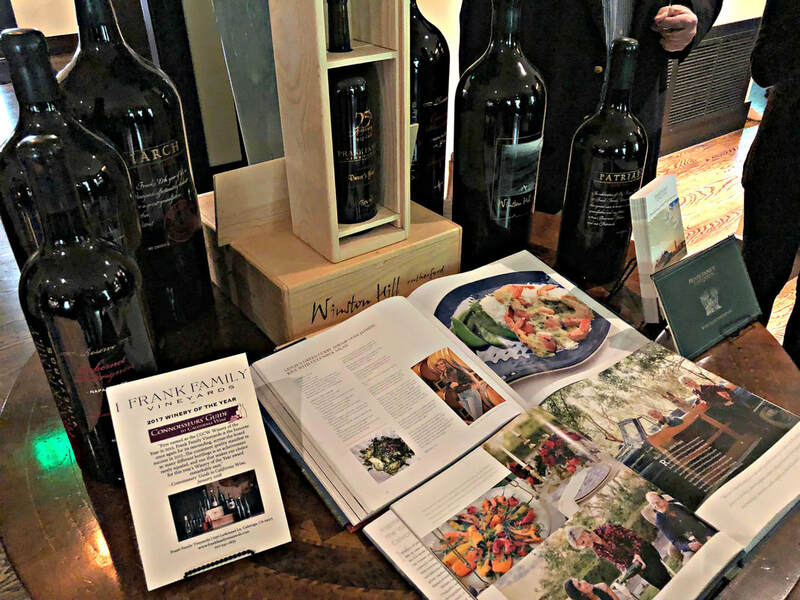 If you haven’t experienced the power and intricacies of Napa Valley wine, now is a good time to discover why its praises are sung. 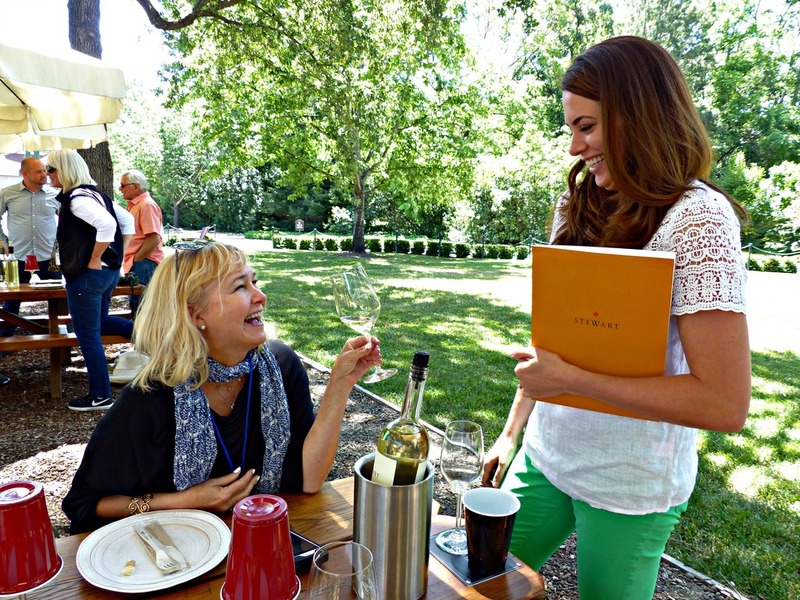 With the start of summer, Napa Valley is open for business in a big way. 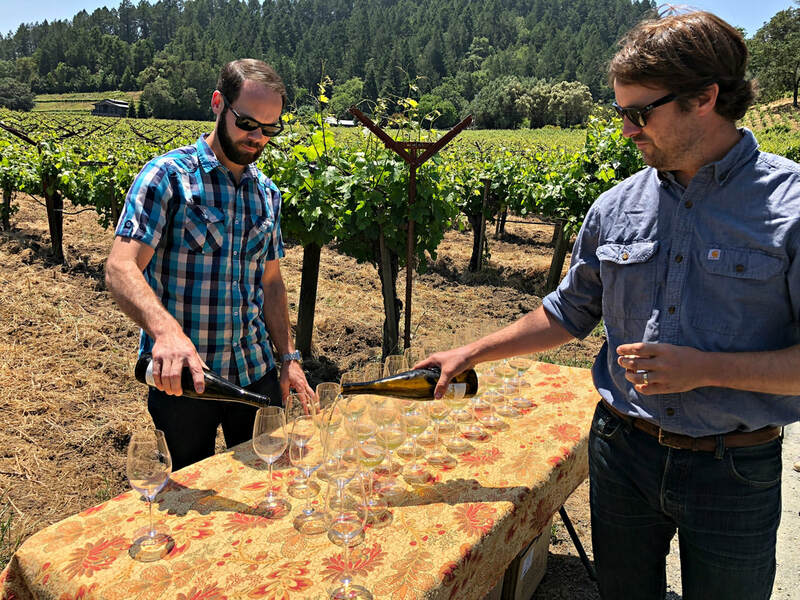 In tasting rooms, grand houses, and clapboard wineries, nestled among bucolic green vineyards, fabulous wines are being poured from many vintages. 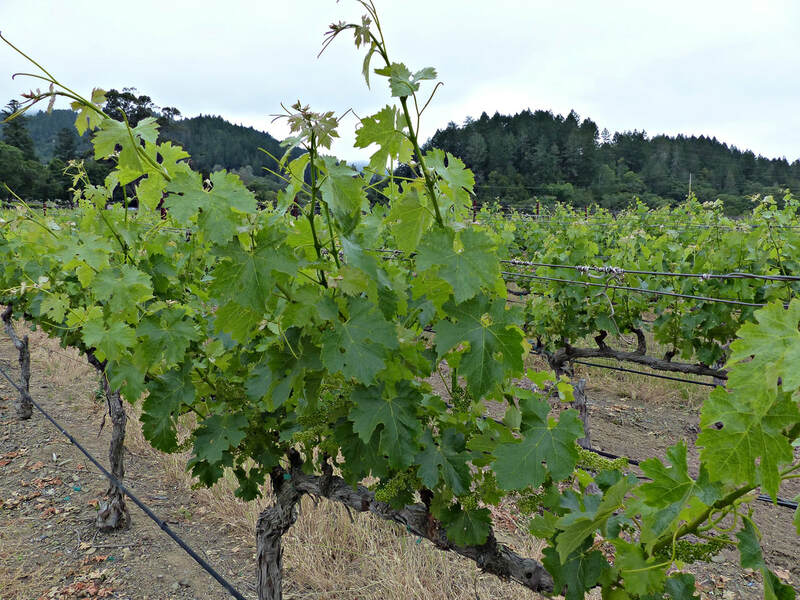 And the reasons to visit are compelling, Napa Valley wines are outstanding in so many different ways. 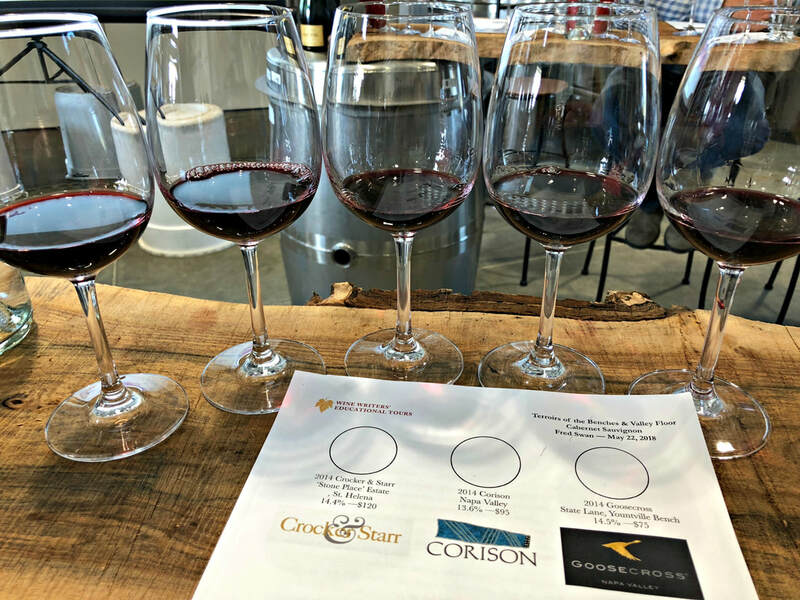 If you’ve never toured Napa’s wine country or haven’t been back in awhile, here is a crash course on why Napa’s wines are still first-rate. 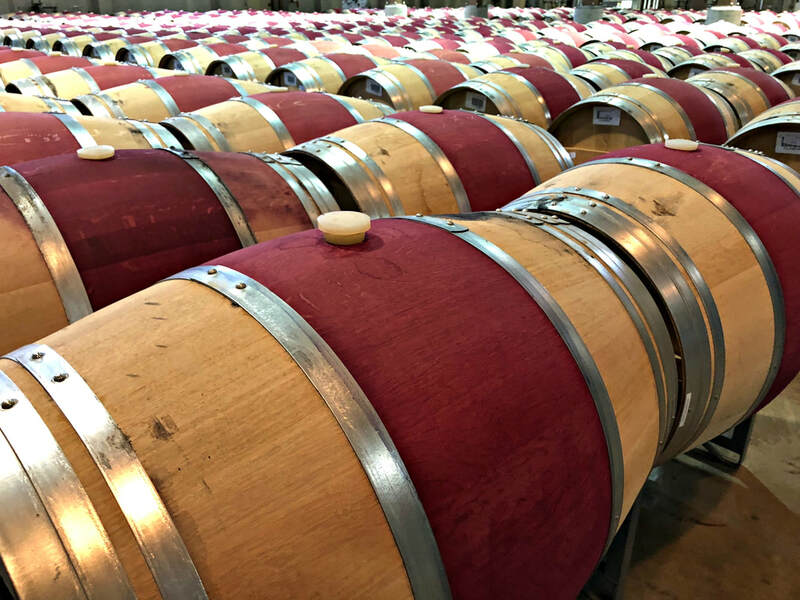 The beauty and breadth of Napa’s wines starts with the numbers. 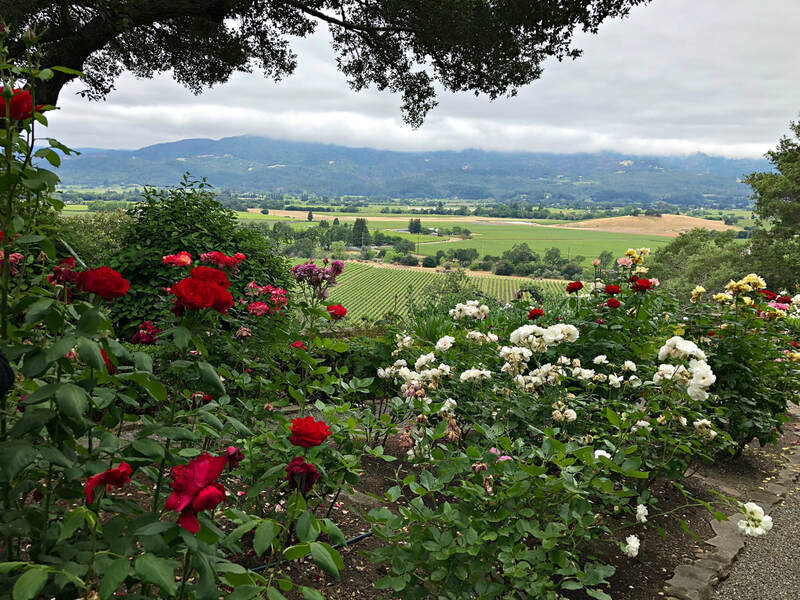 Today, Napa Valley is planted to 45,000 acres of vines, one-sixth the size of Bordeaux, of which Cabernet Sauvignon makes up the lion’s share, almost half of all the vineyards. 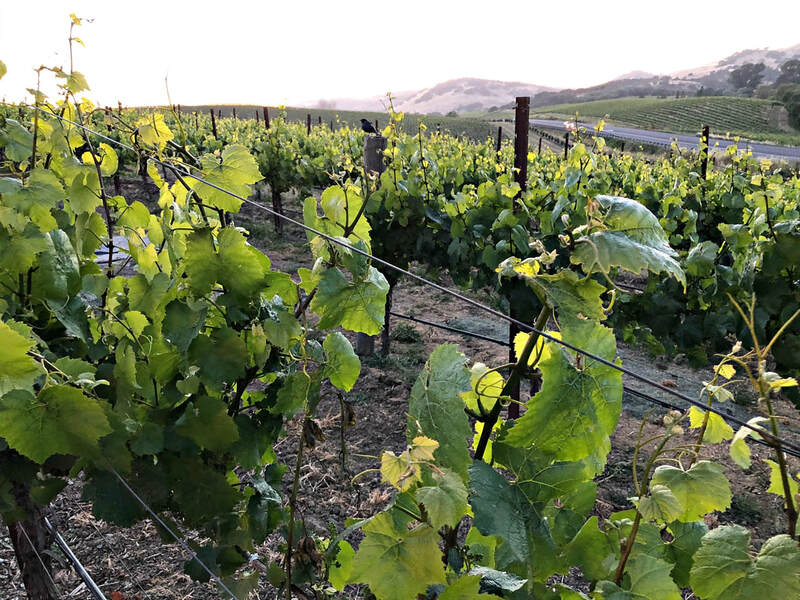 Diverse soils and microclimates make up the Valley, at 30 miles long and 5 miles wide at its fattest, it stretches from the cool windswept vineyards of Carneros at its southern edge, just off San Pablo Bay, to the hot days and cool nights of Calistoga’s volcanic vineyards at the northern tip. 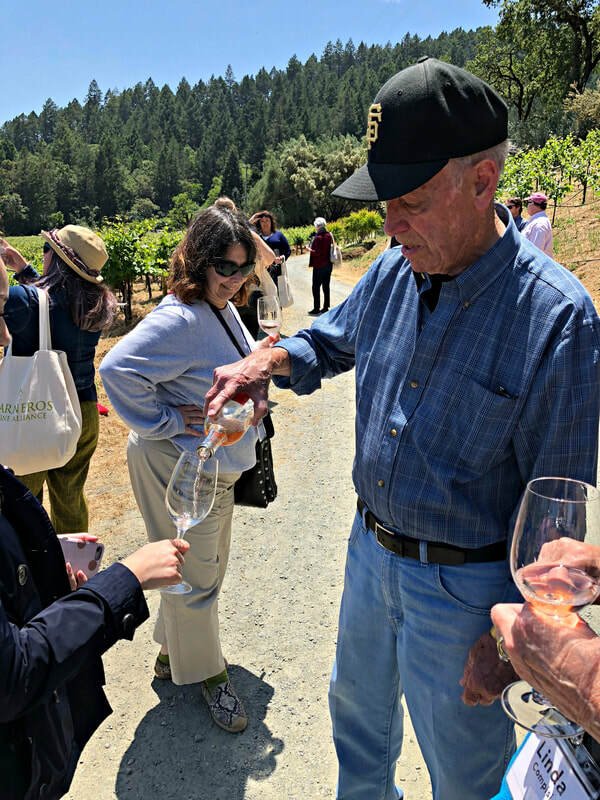 More than 34 wine grape varietals thrive here, from Albariño to Zinfandel, of which three-quarters are red wine grapes, nurtured by small growers and family-owned wineries who make up 95% of Napa’s production. 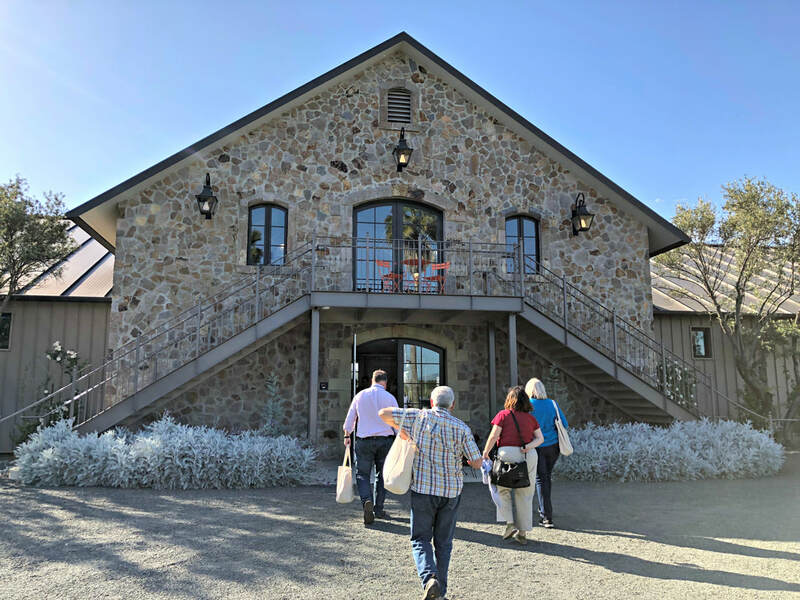 While you might think Napa makes a lot of wine, total production is only 4% of California’s output, and small lots are at the heart of Napa, where 80% of these family wineries make less than 10,000 cases of wine each year. 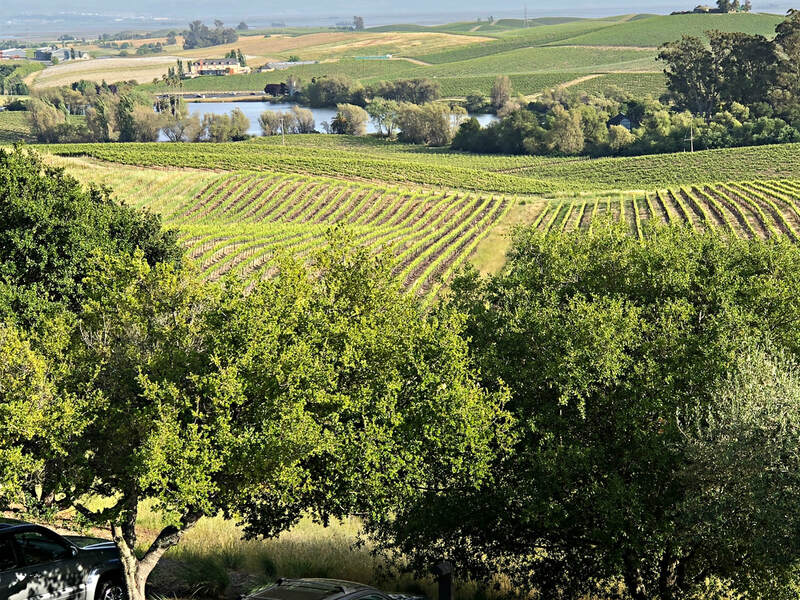 And, often, these families’ winemaking roots run deep, where multi-generational dedication to the vines has given birth to titans and talented winemakers alike. 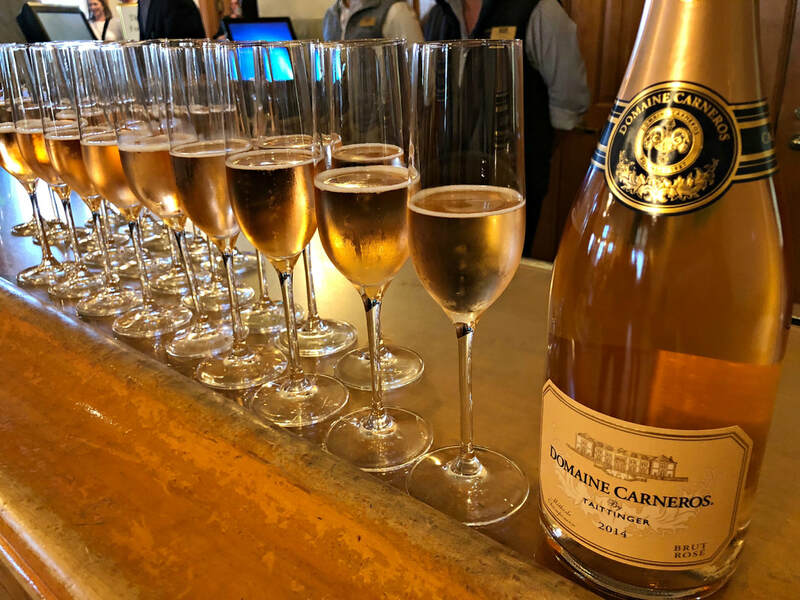 Since 1838, when George Yount planted the first vineyard here, the promise of Napa’s “liquid gold” has drawn immigrants and captains of industry here, and a world-class wine region was born. 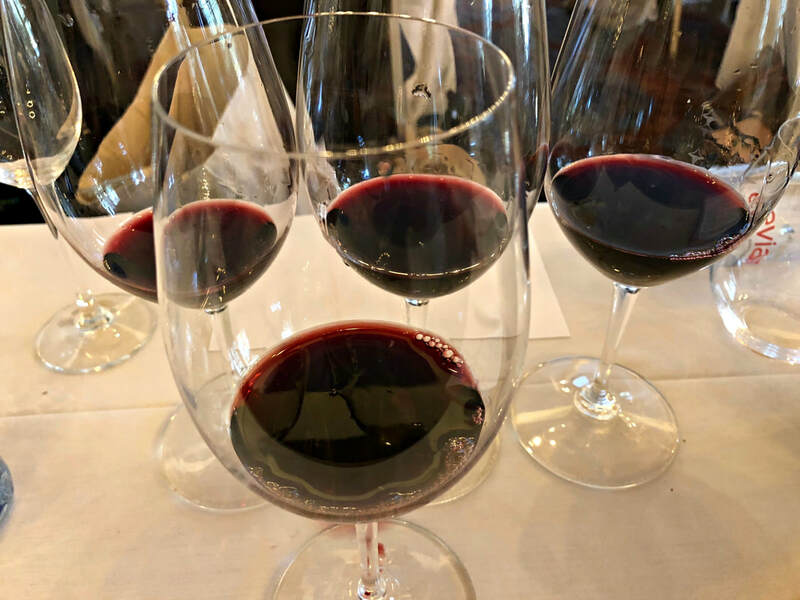 The infamous Judgment of Paris wine tasting in 1976, where two Napa wines, a Chardonnay and a Cabernet Sauvignon, beat the best of French wines in a blind tasting, rated by French judges, cemented California’s reputation for quality wine. 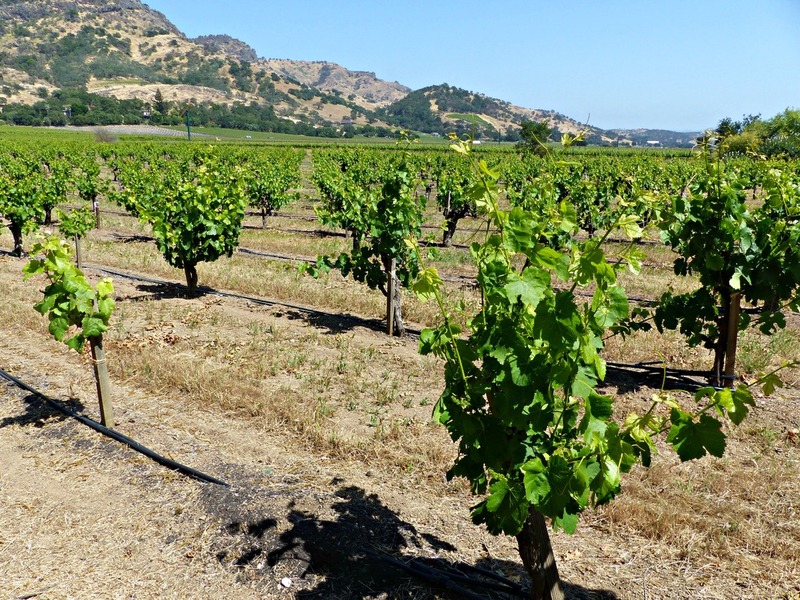 Earning the first California AVA in 1981, sixteen nested or sub-AVAs further define Napa Valley today. 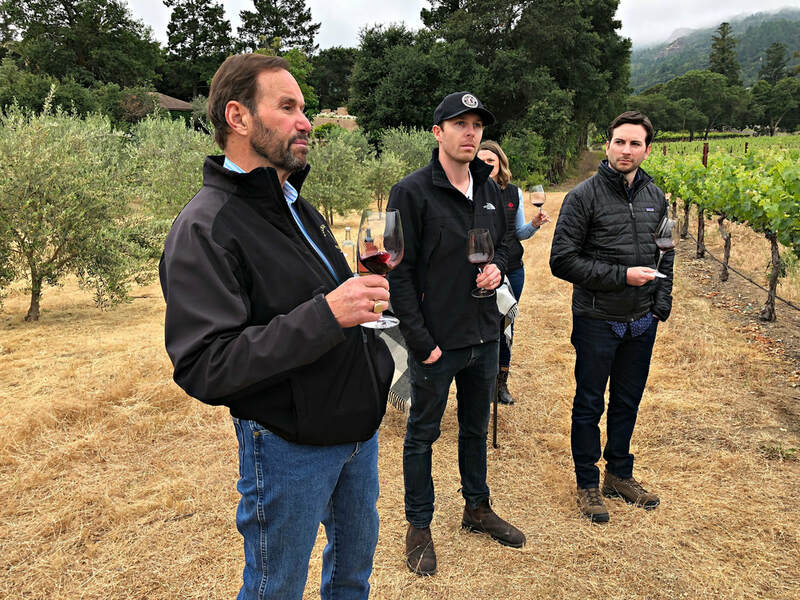 And with so much at stake, preserving land for agriculture and sustainable wine growing practices are high on the list of priorities for Napa Valley. 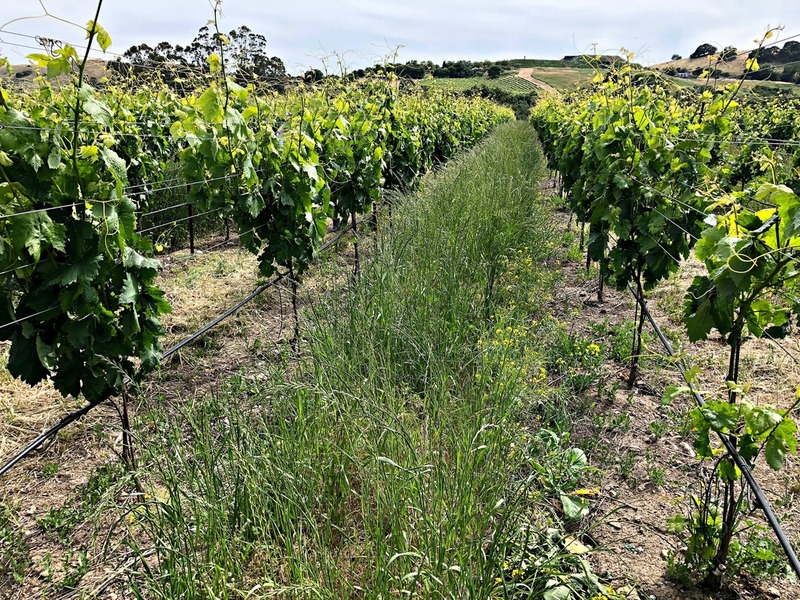 Mother Nature has been kind to this sweet spot of viticulture; a mild Mediterranean climate, soils that are a geological blend of half of the soil types in the world, winds that keep pests at bay, and fog that moderates temperatures in parts of the valley. 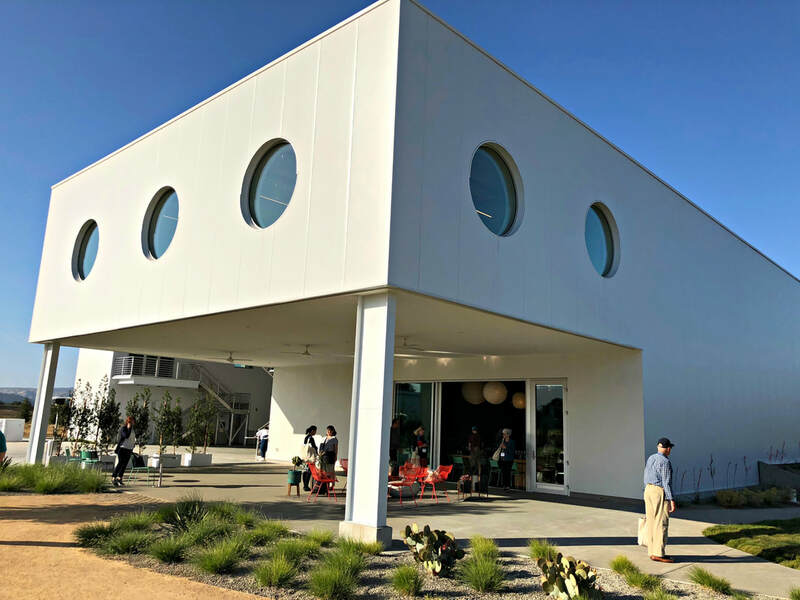 Yet Nature can be cruel; droughts, wildfires and earthquakes have rattled paradise along the way. 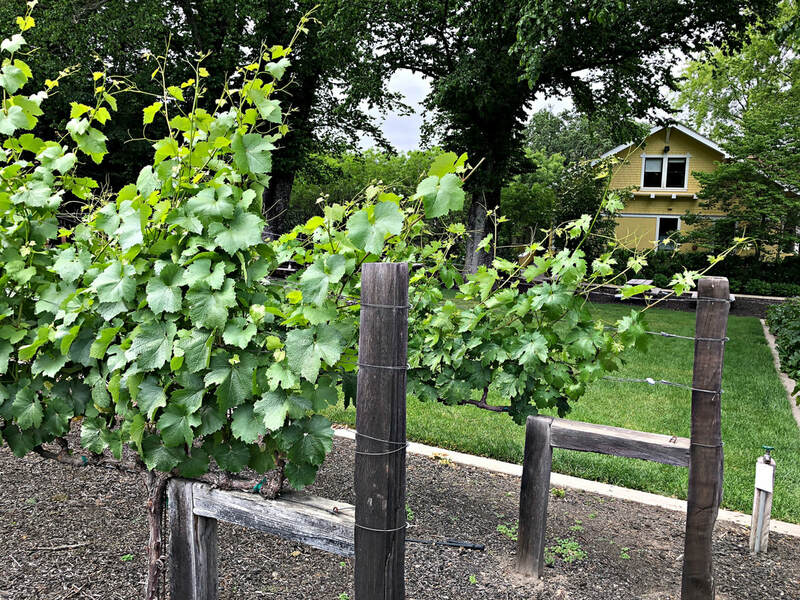 This sweet spot doesn’t come cheap, with vineyard land prices skyrocketing, wine prices have come up along with it. 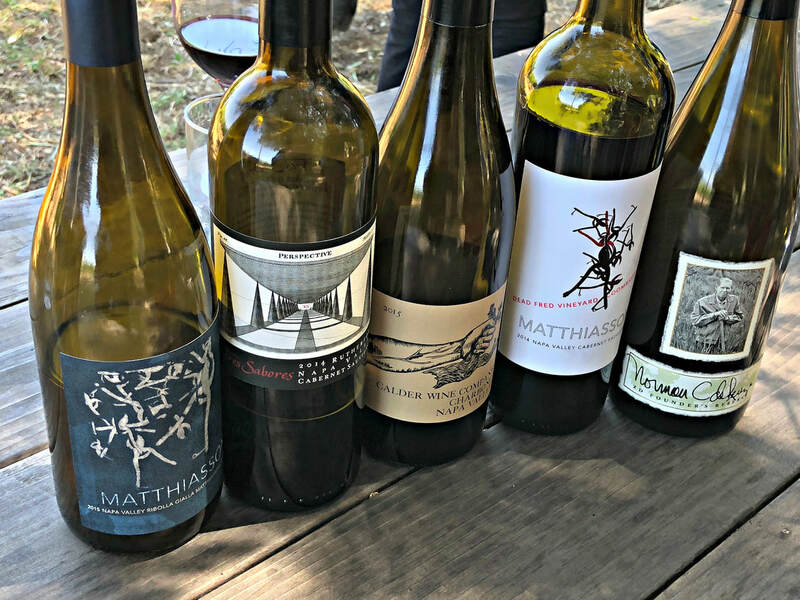 While wine aficionados may debate whether the sticker shock is warranted, it seems that not just high flyers, but also mid-range and everyday wines unmistakably bear the stamp of Napa Valley terroir. 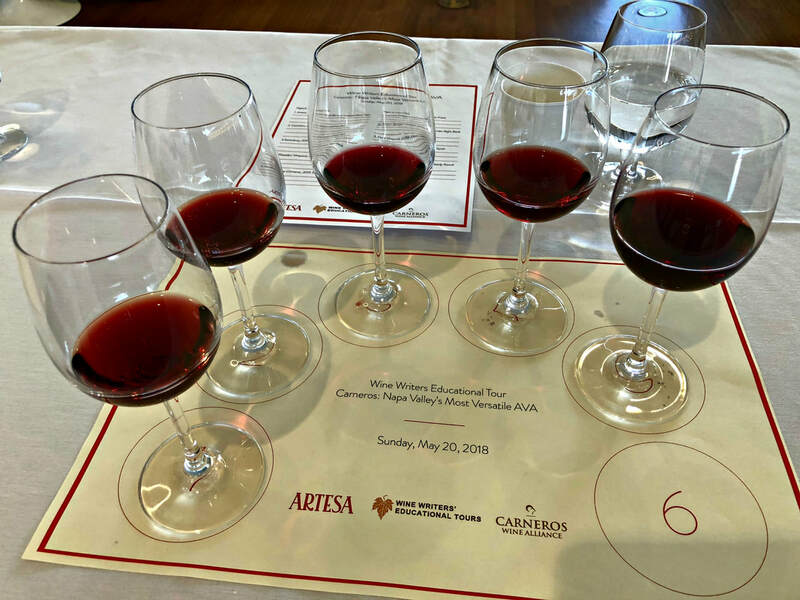 It’s a sensory impression that brands the aromas and flavors with that very important sense of place, and that is the definition of wine worth drinking. 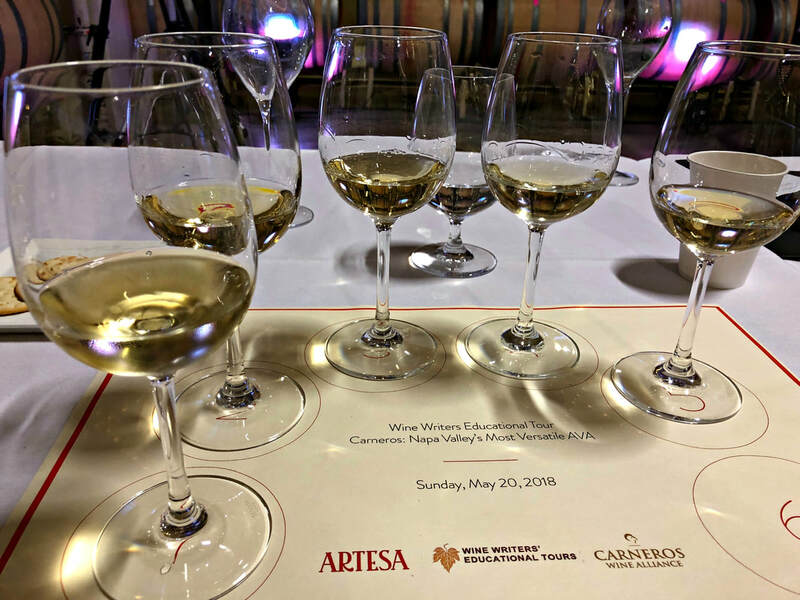 The wines, intense and expressive, are literally sunshine in a glass, where layers of flavor are slowly revealed through the winemaking process. 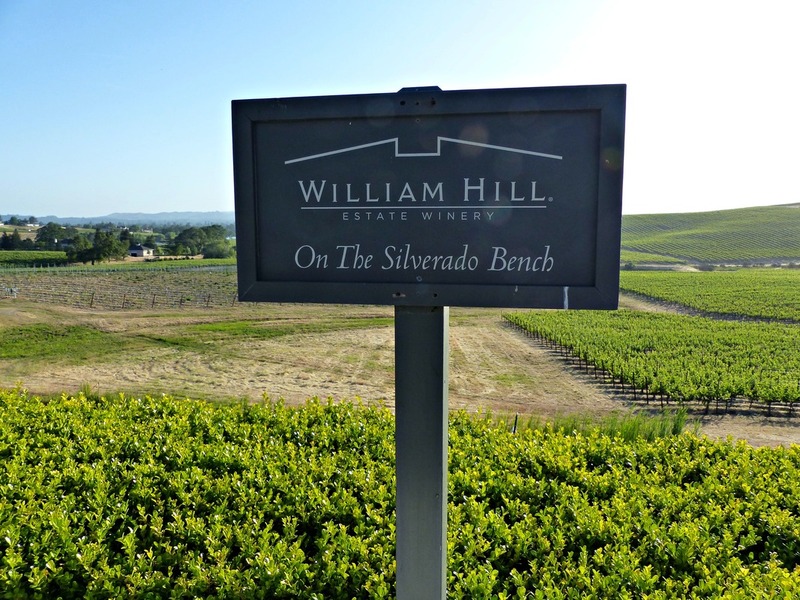 Where the grapes are grown is very important, as well as how the wines are fermented and aged, a multitude of factors result in many different expressions of the same wine grape varietal, such as how a mountain vineyard Cabernet Sauvignon compares to the ones grown in the legendary dust of the Rutherford Bench. 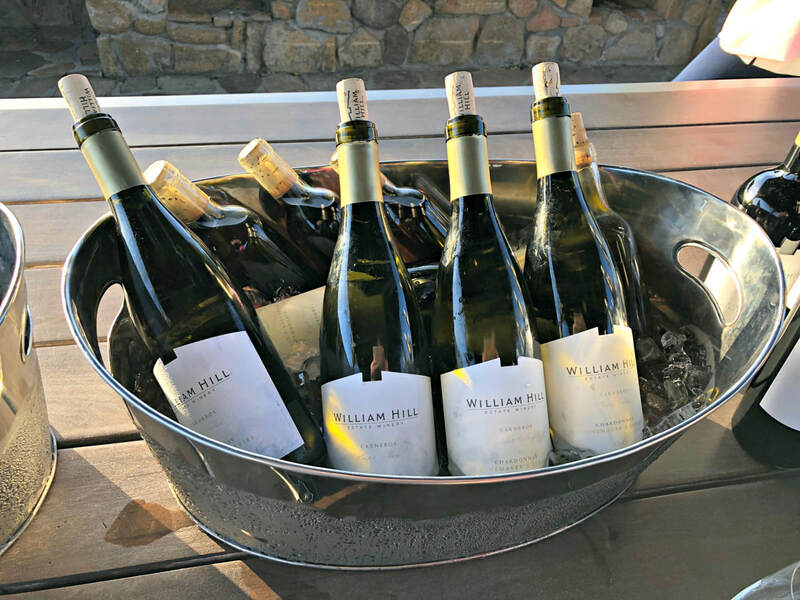 Sauvignon Blanc is more ripe and round here, compared to the laser-precise ones of New Zealand, yet the acidity is so well balanced with the ripeness as to breathe life into every sip. 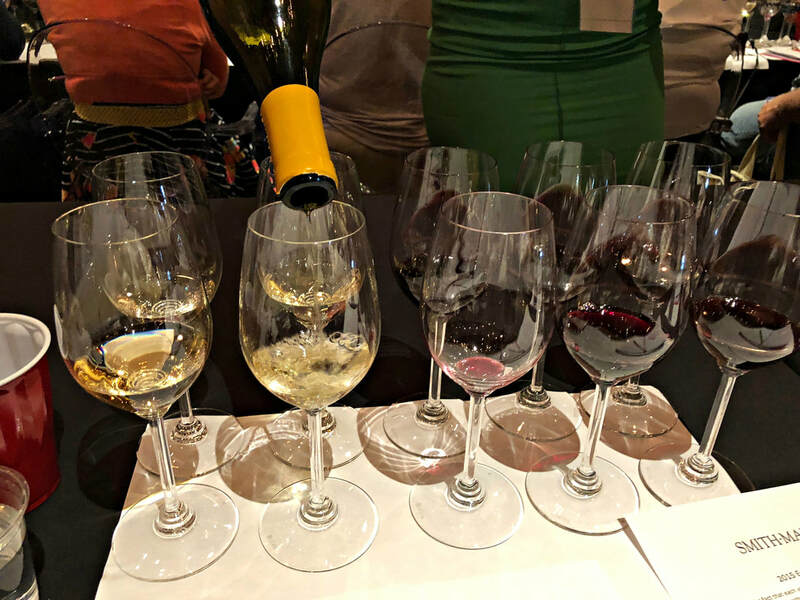 Of course, the rest of the Bordeaux varietals have found a home here, Merlot, Cabernet Franc, Malbec, Petit Verdot, and even Semillon, where mostly the beauty is found in the blend, just like cooking, a splash of this or that can enhance the overall wine. 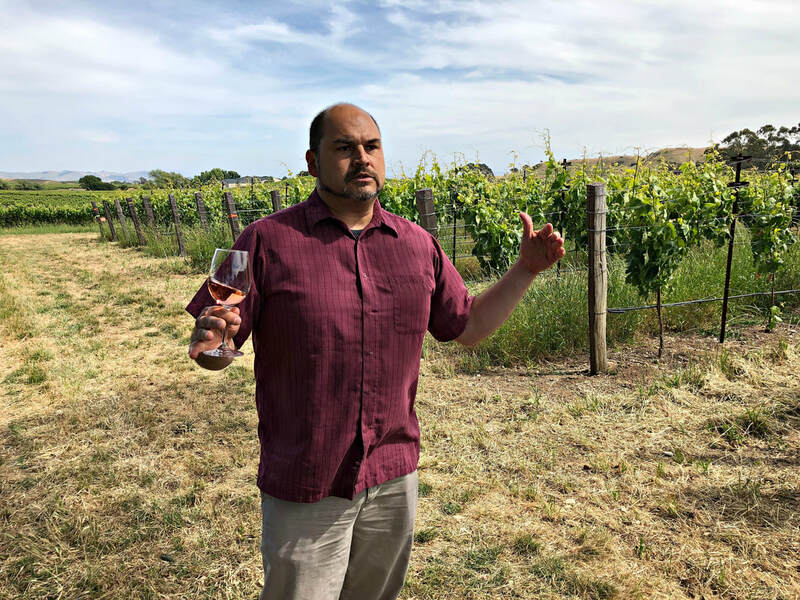 And in the cooler pockets of the Valley, Chardonnay and Pinot Noir have realized their own potential, especially in the area of sparkling wines. 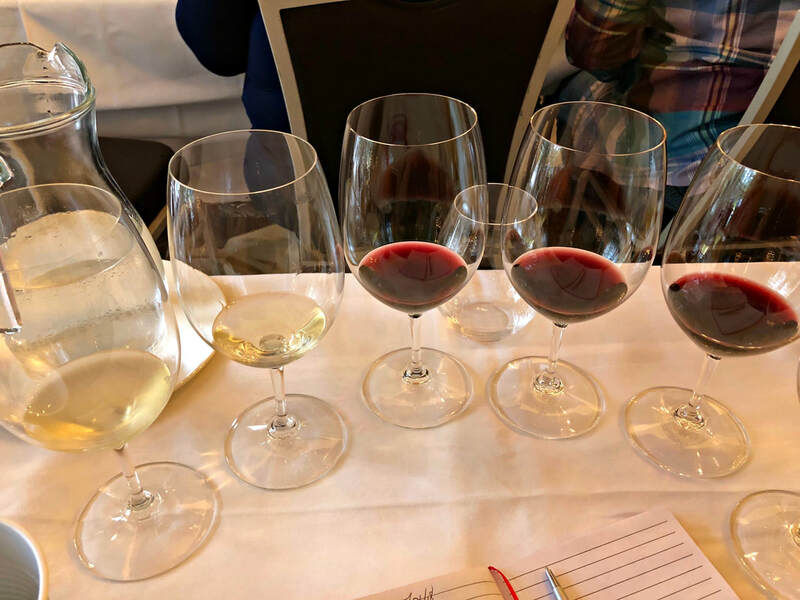 And although it may seem that Napa is Cabernet Country, many winemakers are experimenting with small lots of captivating wines, such as Ribolla Gialla and Tempranillo, or reviving a varietal from the past, such as Riesling. 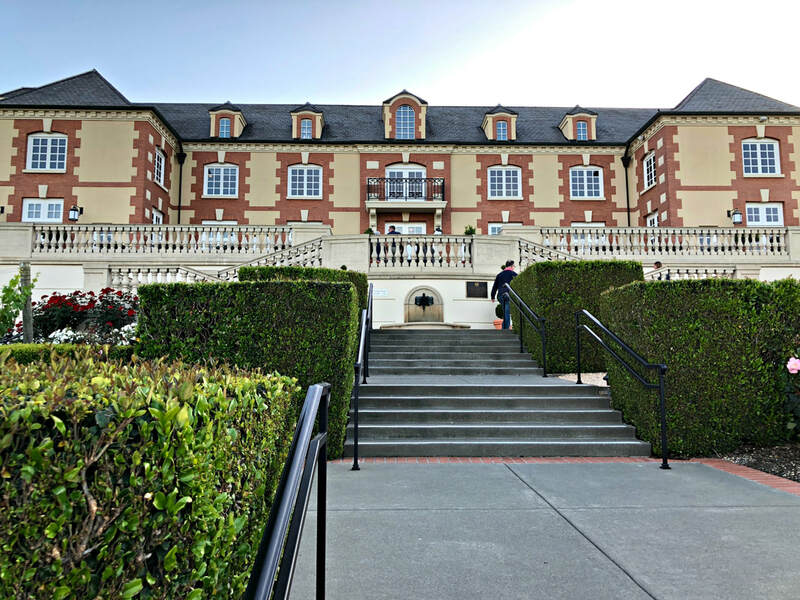 Just like a complex wine, there are so many factors that come into play to make Napa what it is today. 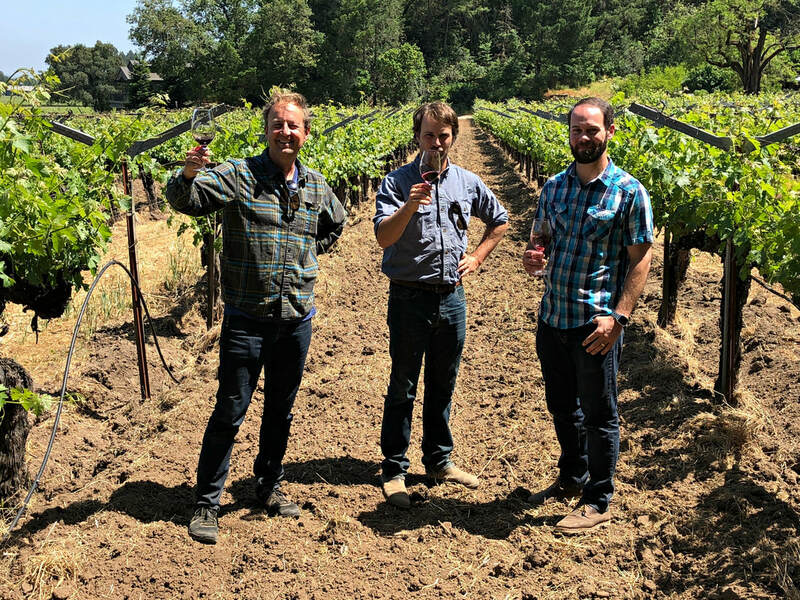 Over 150 years ago, within a crucible of climate, soils, and topography, visionary men with wine memories from their homeland molded this valley to produce wine that was even better than they remembered. 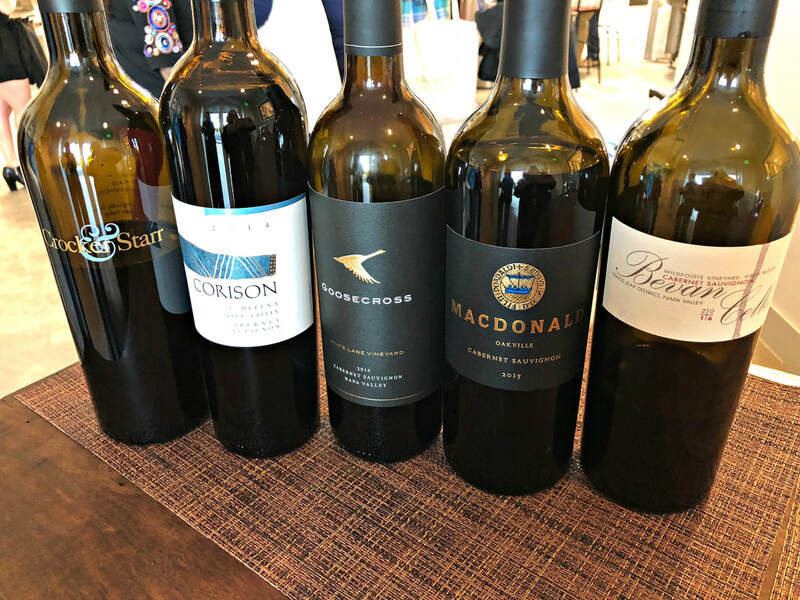 Napa winemakers continue this legacy today, and take varietals we think we know well, case in point Cabernet Sauvignon, and finesse the differences in vineyards, between mountainsides and bench land, to craft a wine that speaks of its vineyard row, just like in Bordeaux and Burgundy, coming closer to the essence of what that vine has to offer. 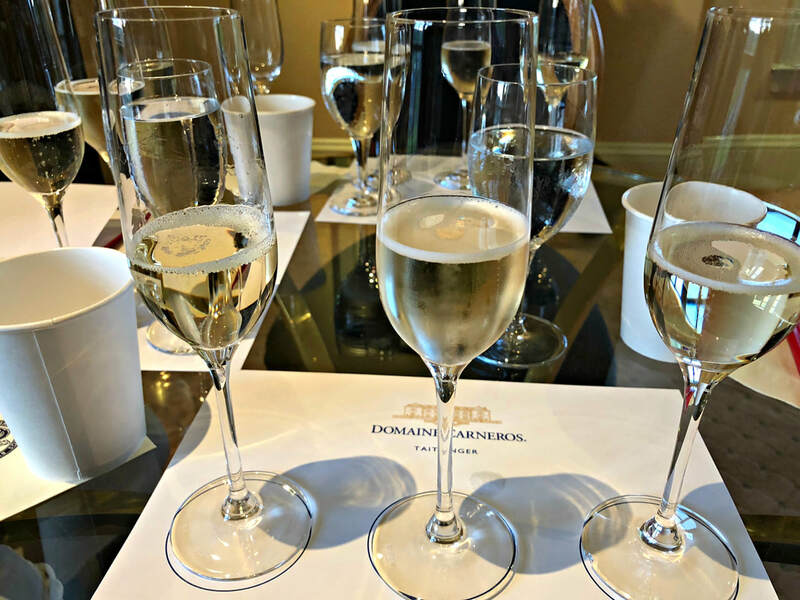 Napa has become a hub of quality, and that attracts some of the best winemakers in the world, intent on creating wines that have enchanting aromas and rich flavors, truly mesmerizing your senses with that Napa essence. 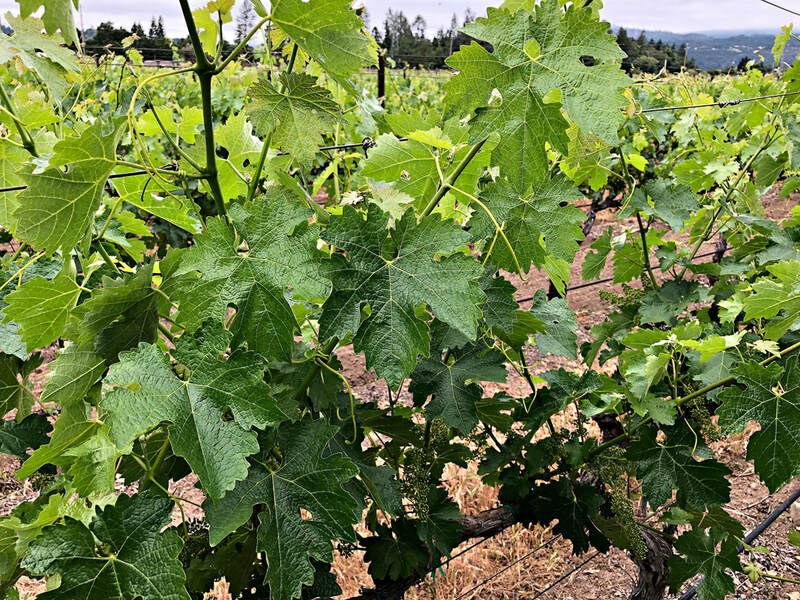 It’s late May, and clusters of wispy white flowers cling to tender grapevine shoots among the vineyards of Napa Valley, a visible sign that the annual cycle of life has begun. 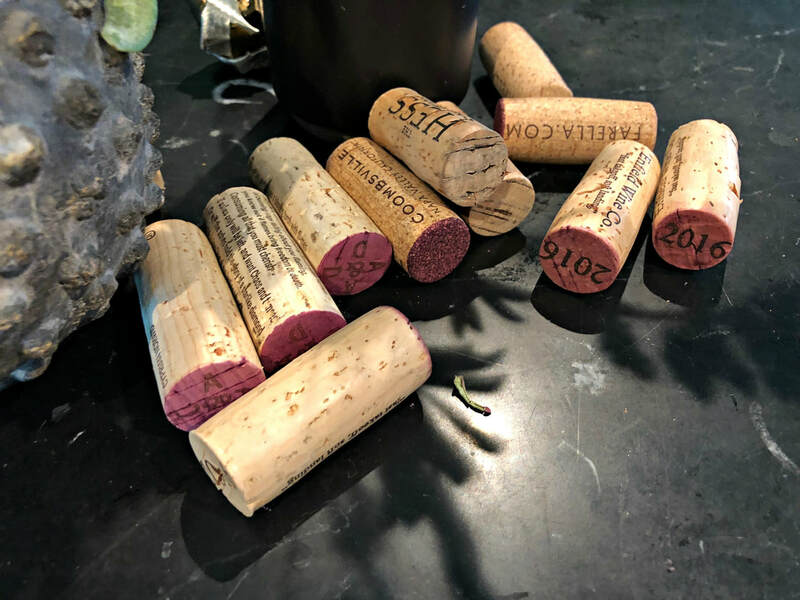 At first glance, there are very few reminders of the destructive wildfires that raged throughout Napa wine country almost eight months ago. 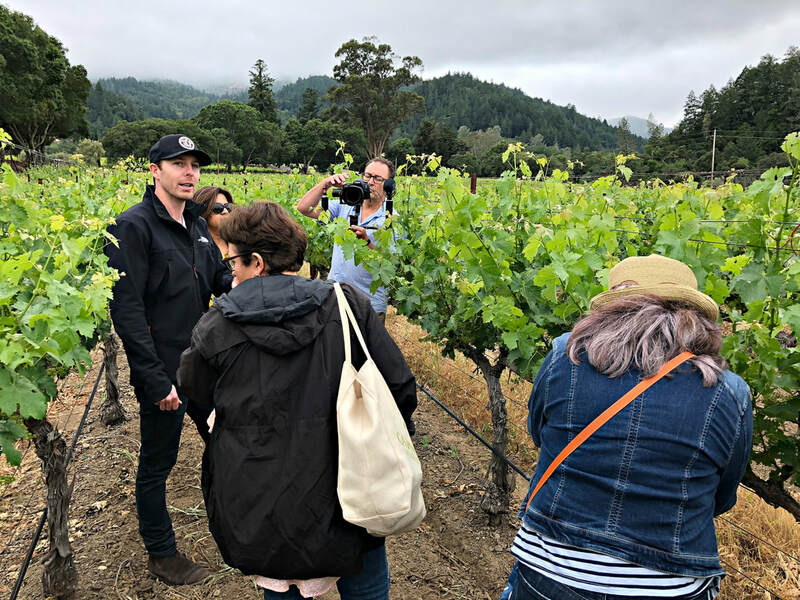 But as tourists flock to the valley for a wine vacation, the first question to winemakers and producers is “Were you affected by the fires?” The good news for wine lovers is predominantly “No”, as most of the 900 wineries didn’t suffer any structural, vineyard, or winery losses. 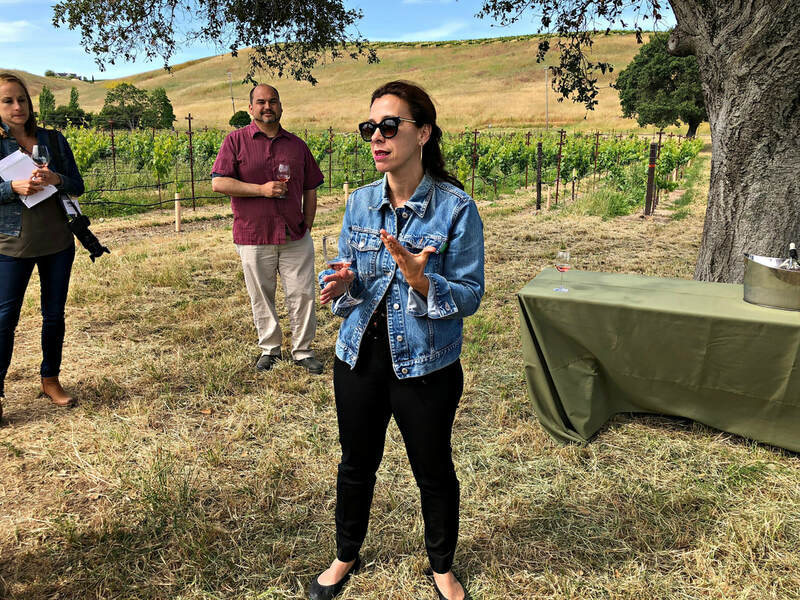 As terrifying and destructive as the fires were, especially to Sonoma, much of the 2017 harvest in Napa Valley was picked, a small blessing among the carnage that Mother Nature unleashed. 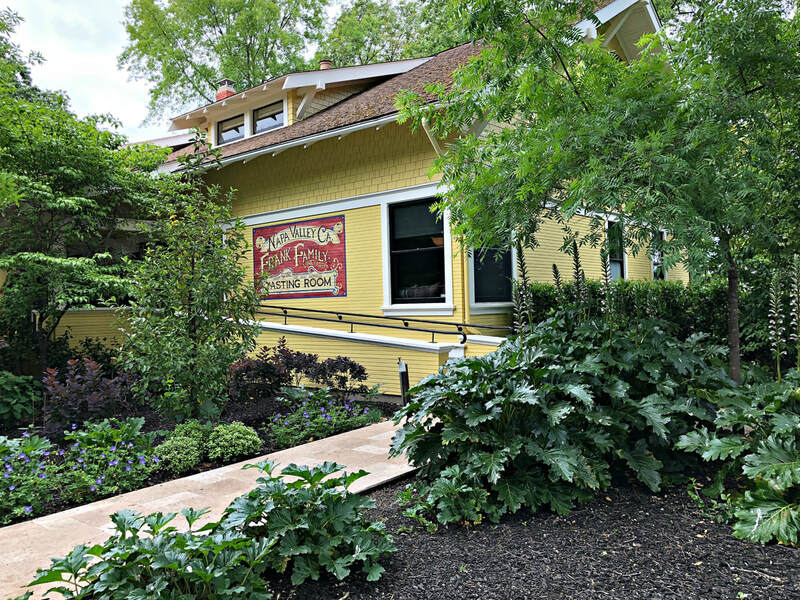 What to know before you go? 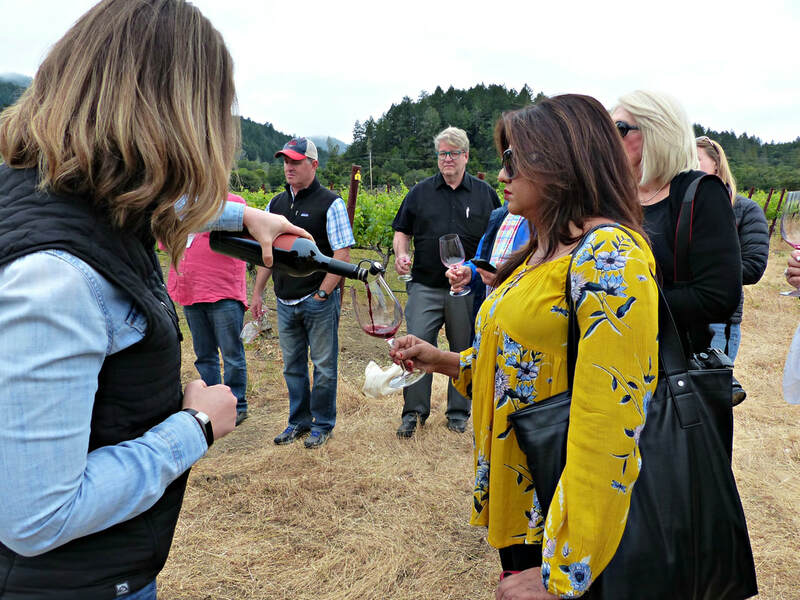 Do your homework and focus on a few wine producers, with traffic and limited hours of operation, plan on only 3-4 winery visits each day. 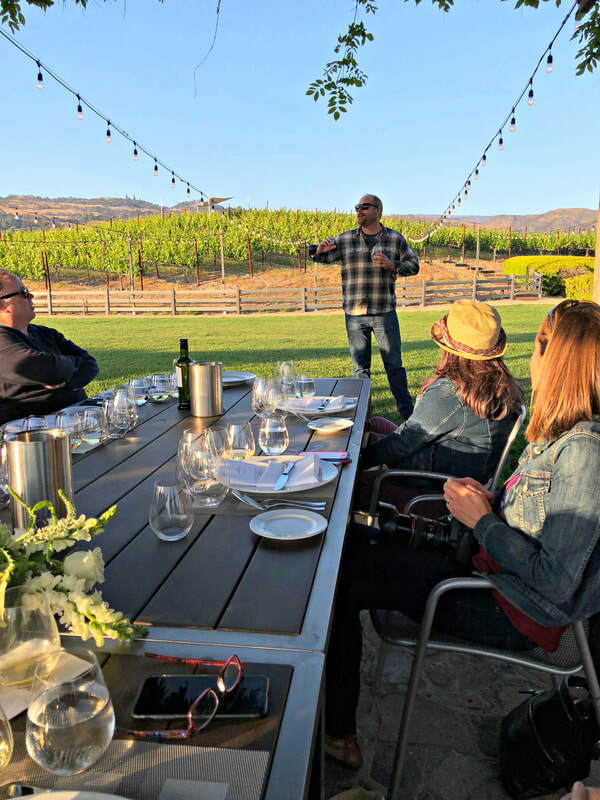 Many wineries require advance reservations for tasting, so planning is important to the quality of your experience in the Valley. 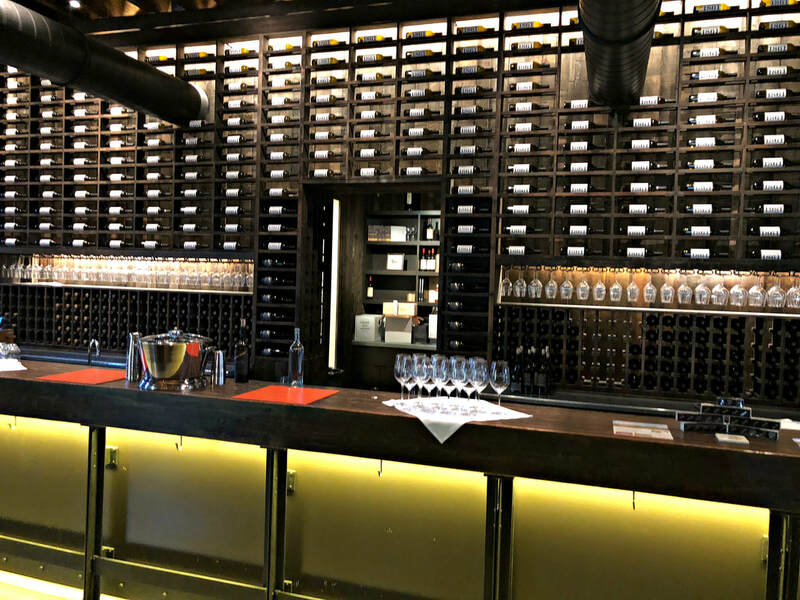 And yes, almost every winery charges a tasting fee, which is waived if you purchase a certain amount of wine. 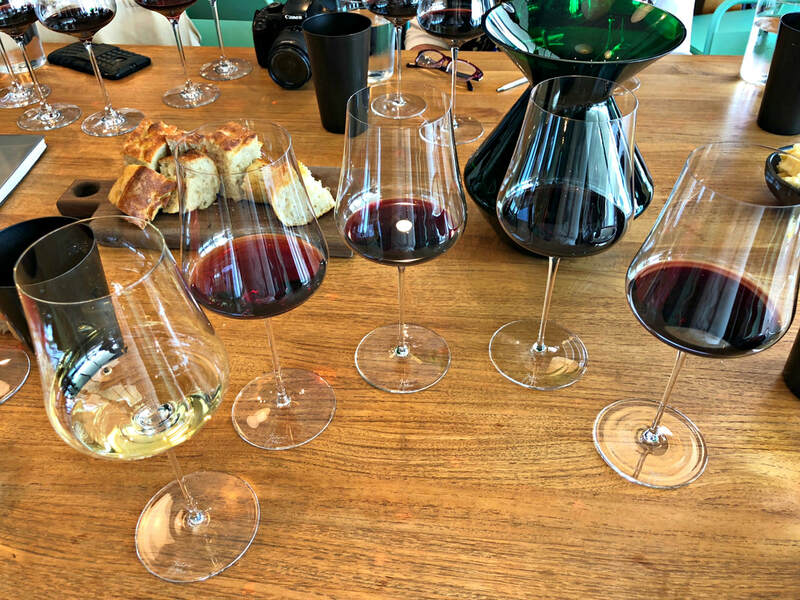 Make sure to eat a good breakfast, and drink enough water alongside the wine, you’ll feel better at the end of the day. Where to start? 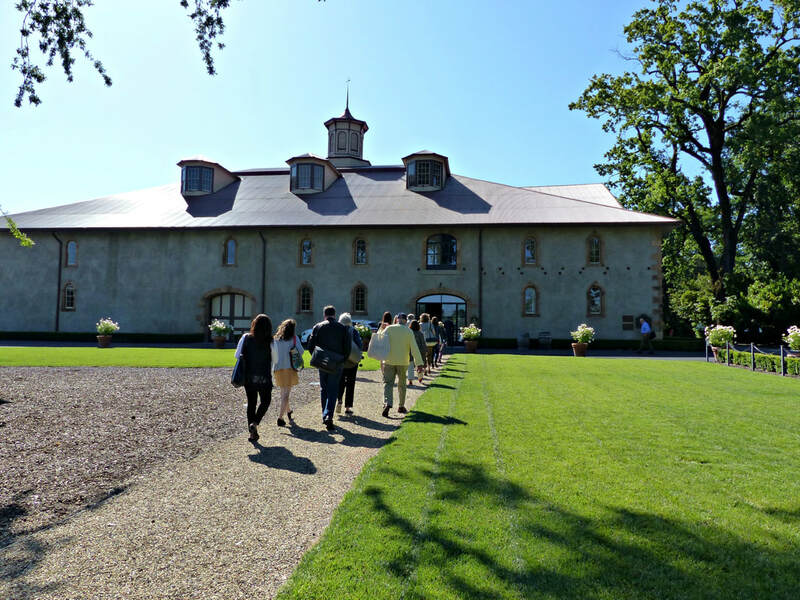 With so many wineries, it may be hard to winnow down a long weekend’s worth of wine tasting. 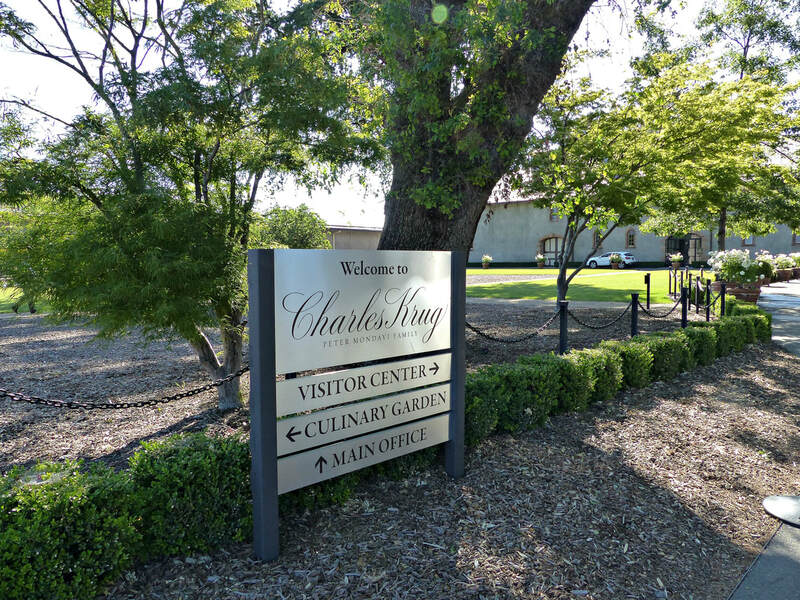 A few suggestions, visit an iconic producer with a long history of winemaking in Napa, such as Charles Krug, the oldest winery, and do a tour and tasting, maybe stopping for a quick picnic among the towering oak trees on the property. 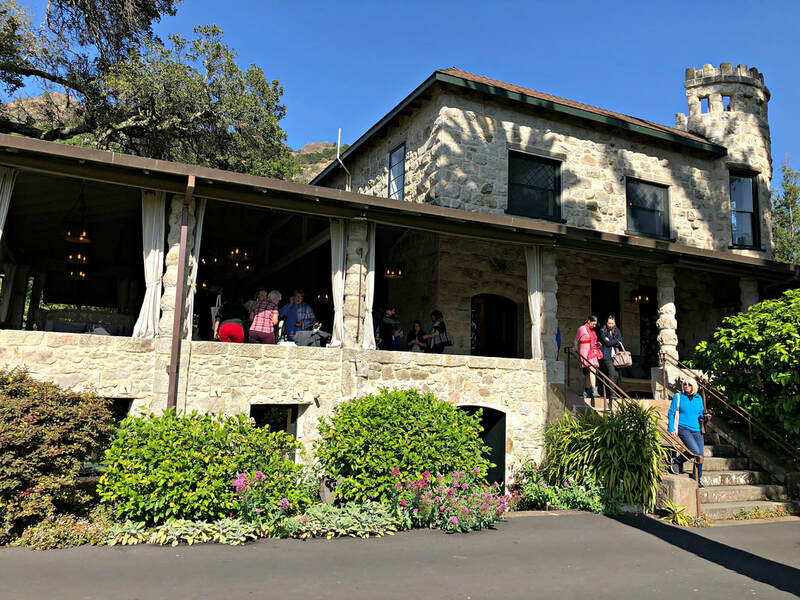 Or reserve a tasting tour at Stags' Leap Winery, with its over 100 years of winemaking history, and enjoy spectacular views across the Valley. 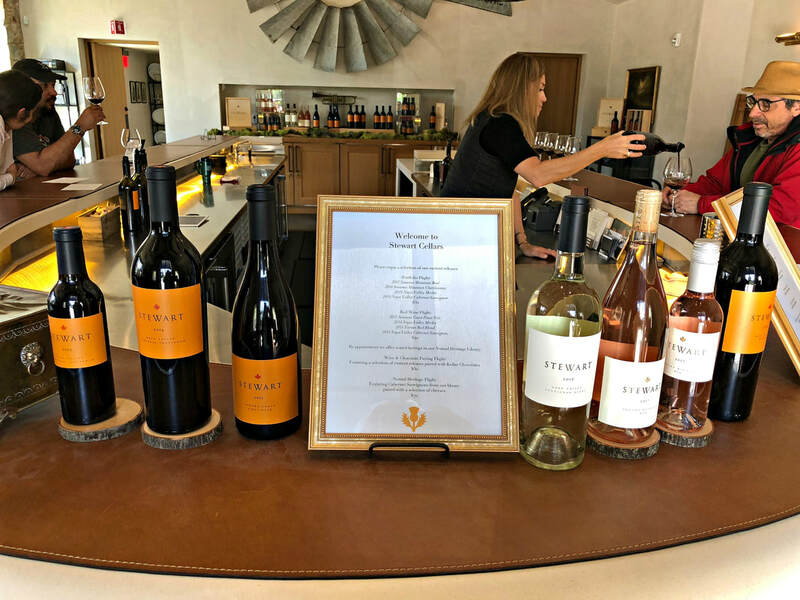 Make an appointment at Crocker & Starr and experience the beauty of winemaker Pam Starr’s spectacular wines with a vineyard tour and tasting. 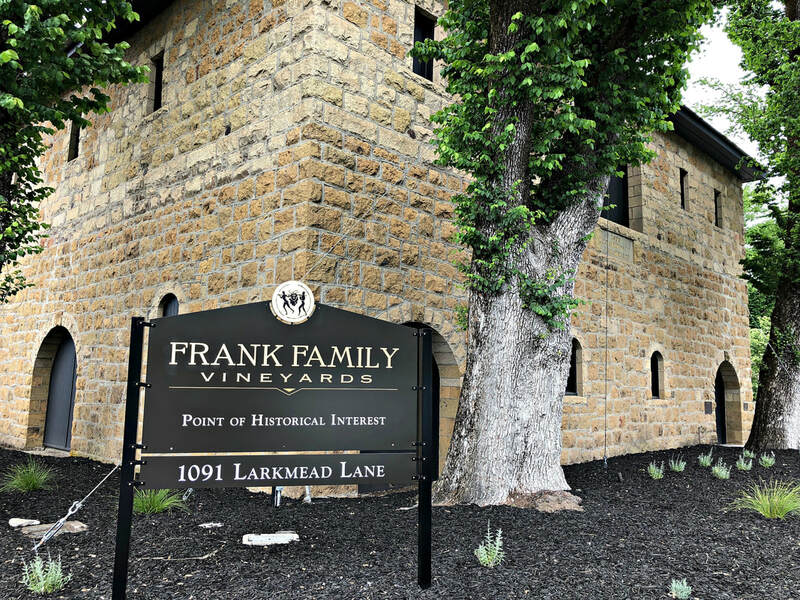 Drop into the tasting room at Frank Family Vineyards and toast their 25 years of winemaking with a glass savored on the veranda overlooking the vines. 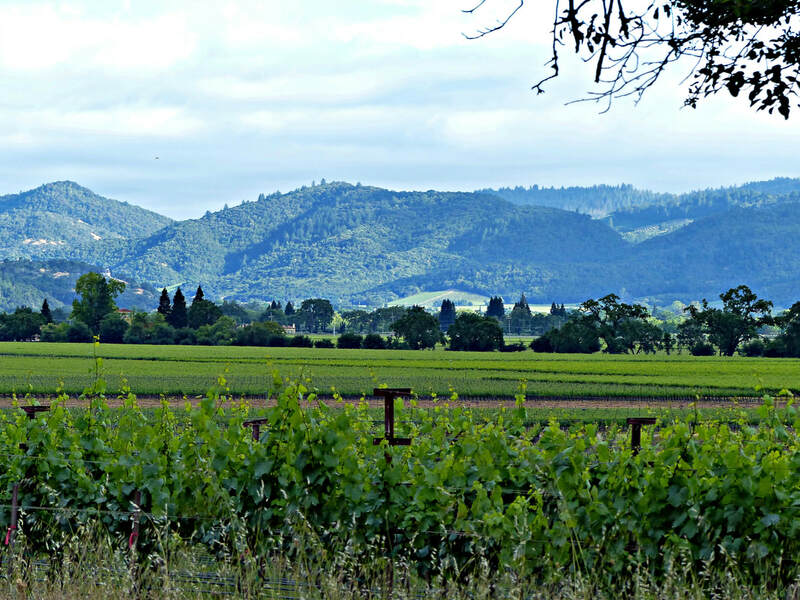 There are many stories in Napa Valley, and this is just the appetizer to the bounty ahead. 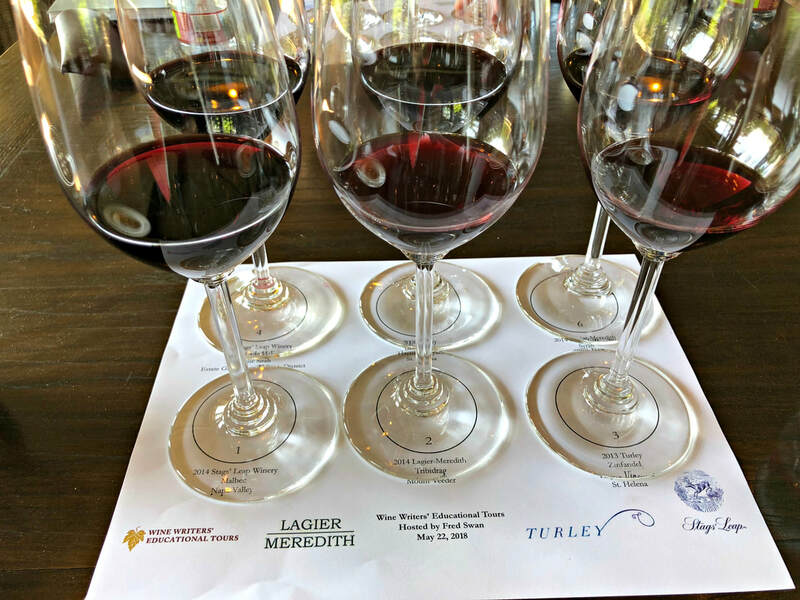 In the next several weeks, I’ll explore the many facets of this exciting wine region; the history and significance of venerable institutions like Charles Krug, the passion of newcomers like Ashes & Diamonds, the master winemakers and consultants like Steve Matthiasson, the organic vineyard farmers such as Tres Sabores, and the influence of European wine houses on Napa such as Artesa and Domaine Carneros. 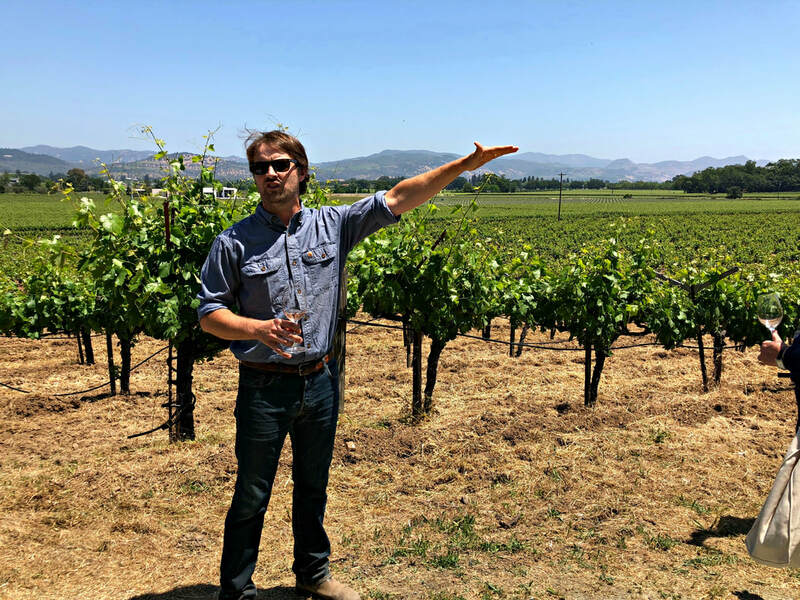 In the meantime, time for a road trip, and drink in the magic that is Napa Valley!